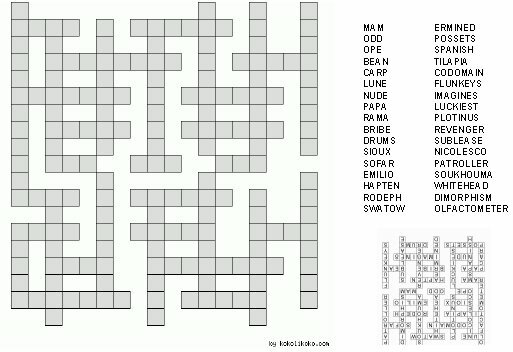 This service will provide PDF files with 4 pages containing 2 crossword puzzles per page. Each puzzle is similar to the one bellow. To solve the puzzles you must match the words in the grid.